UR44 är ett USB-ljudkort i samma liga som de större UR- och MR-interfacen, fast i ett mer portabelt format av stöttålig metall. Det har 6st ingångar (2st mikrofon/instrument, 2st för mikrofon/line och 2st line), 4 st lineutgångar, 2st hörlursutgångar och MIDI in/ut. Drivrutiner för ASIO, CoreAudio och WDM. Även stöd för iOS (iPad). 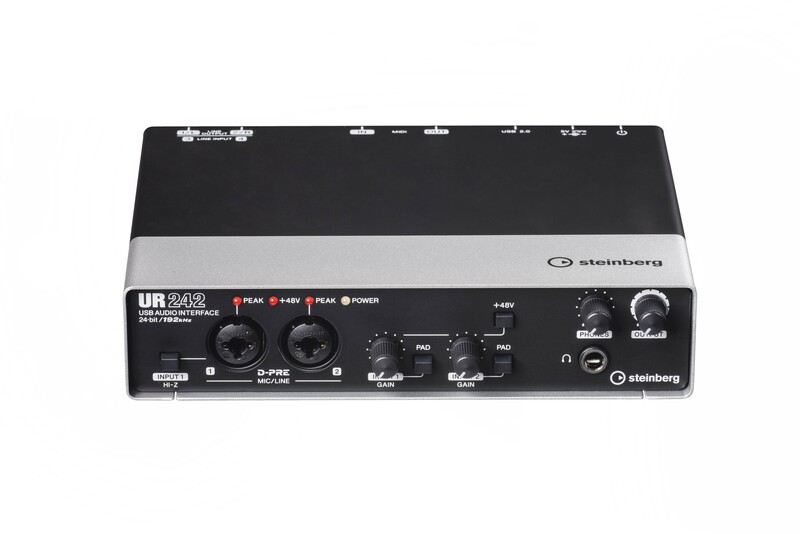 The UR44 is unique in its combination of input and output capabilities, stellar component quality and portability. Four Neutrik analog combo inputs with peak LEDs and switchable +48 V phantom power provide inputs for everything from an electric guitar through line-level audio equipment to boutique condenser microphones. Switchable Hi-Z support means no additional DI box is required to hook up your electric guitar or bass. 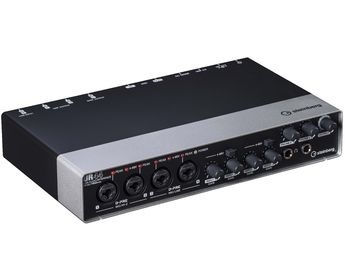 Two additional line inputs allow connection of an extra audio source in combination with four mic preamps giving you a total of six input channels; thats enough to handle a huge range of recording situations. 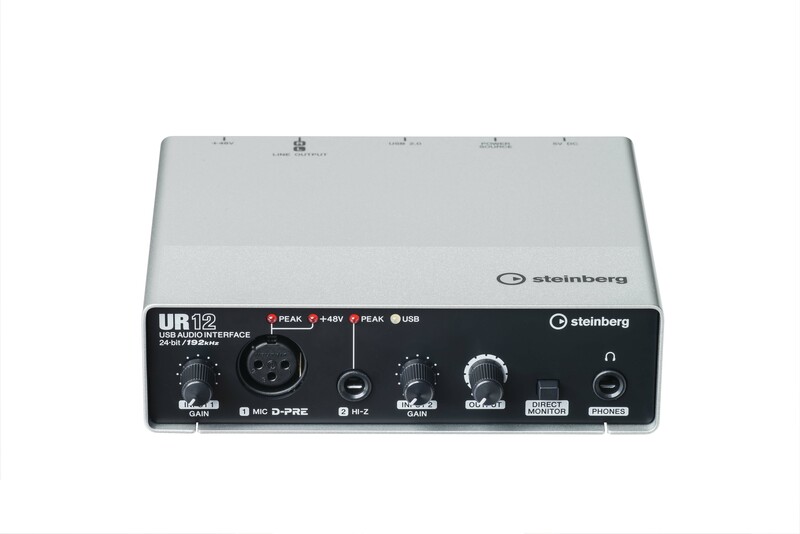 This unique interface also brings you the advantages of latency-free monitoring powered by the dspMixFx application and offering DSP-powered FX, letting you record with compression, EQ, reverb and guitar amp simulation on the headphone mix. And if youre using Cubase, all this functionality is integrated directly into the Cubase mixer and custom Cubase windows. 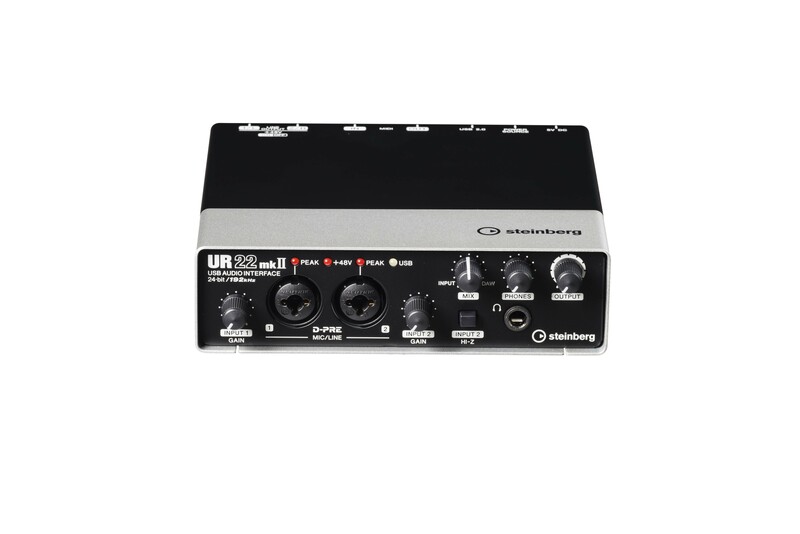 For composers and producers using MIDI equipment like keyboards or pad controllers, the UR44 provides MIDI I/O ports on the back panel. 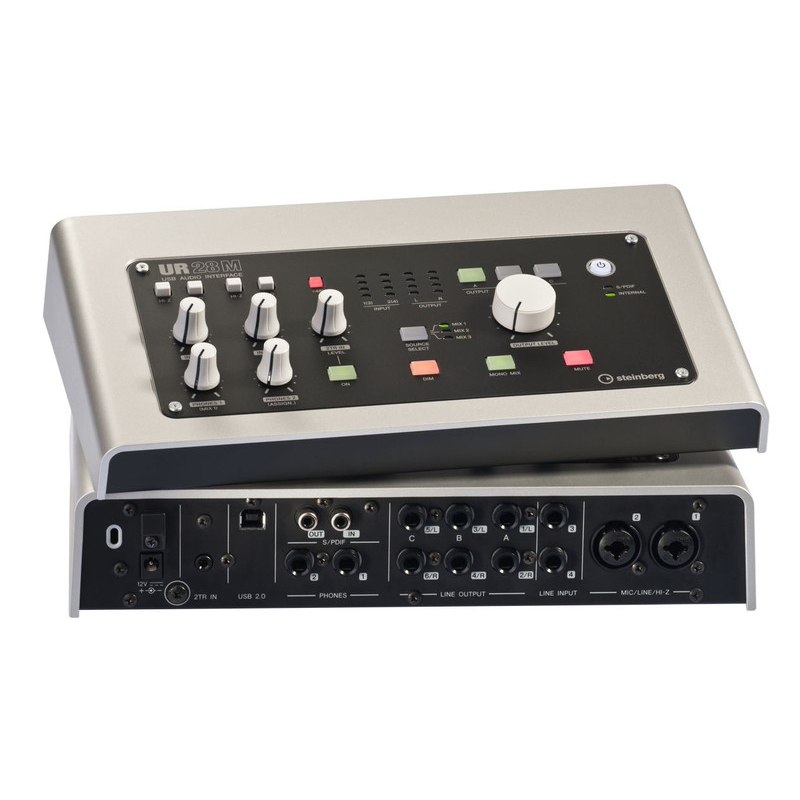 The UR44 is a unique production system as it puts first-class audio technology and outstanding sound quality in a rugged portable device that gives you enough I/O capability for complete flexibility: Recording live performances, producing in studio quality at home or in a hotel room, pre-production for your next album in your rehearsal space, playing back audio backing tracks on stage The UR44 means no compromises you can keep your options open at all times. 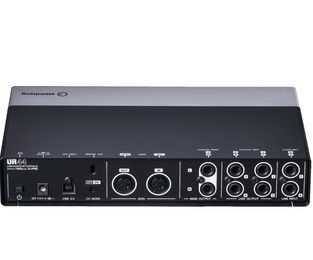 Enjoy the audio quality and advanced features of first-class, studio-ready components housed within an interface portable enough to accompany you wherever you and your music happen to be.